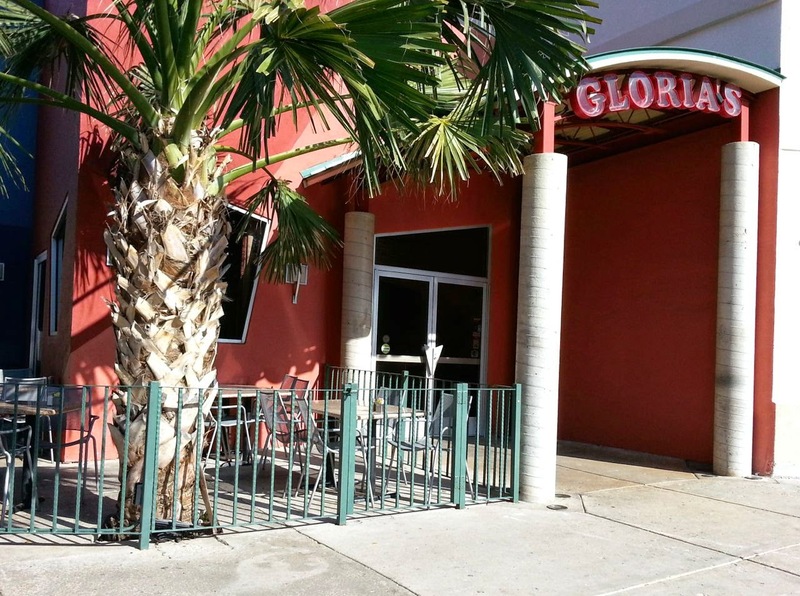 We met friends for dinner at Gloria’s in Dallas at the Addison location. It was suggested by one of the friends we were meeting, and I think it was a good choice. She had described it as Mexican food, but I think it has more of a Spanish spin on Mexican food. 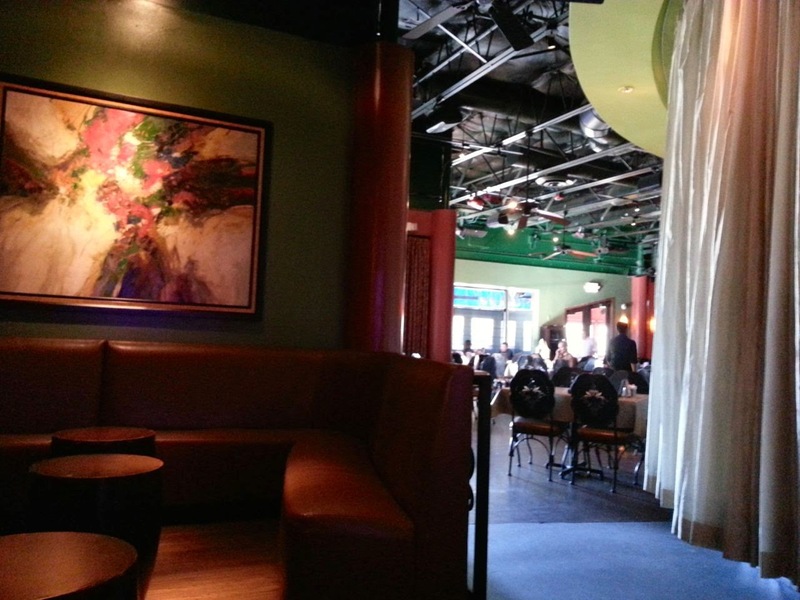 We met for an early dinner around 5pm, so the restaurant was almost empty, and we were seated right away. 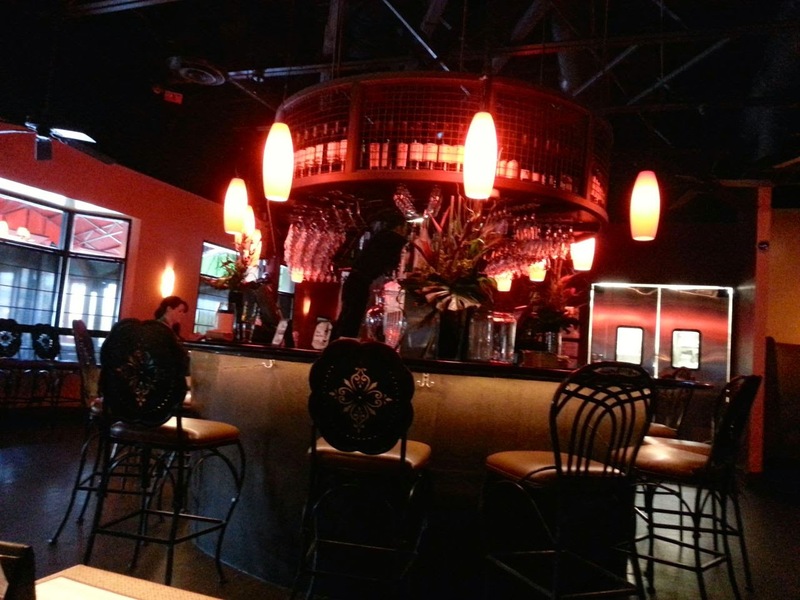 Our waiter mentioned the happy hour specials, half price wine and discounts on margaritas. Then he brought out chips with bean dip and salsa. The bean dip was warm and delicious. The salsa was spicy, not too chunky or runny and had a nice kick. My husband ordered a margarita during happy hour. I don’t remember what all the waiter said was in it, but I think he said it included premium tequila, orange juice, agave nectar and lime juice. 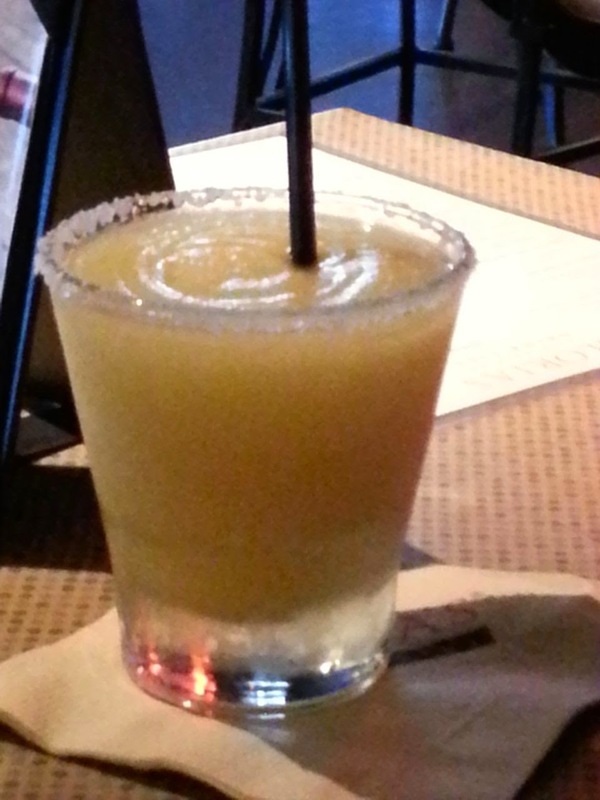 The margaritas usually come on the rocks, but my husband asked for it blended with salt instead. He said the margarita was really strong and that he only tasted the tequila, but he's not used to drinking much anyway. It was only $5, so I think he got his $5 worth of tequila. For his meal, my husband ordered the Enchiladas a la Gloria, which are described on the menu as “a trio of enchiladas filled with shredded chicken, cilantro and white onions each topped with three different sauces: chile ancho, sour cream and tomatillo. 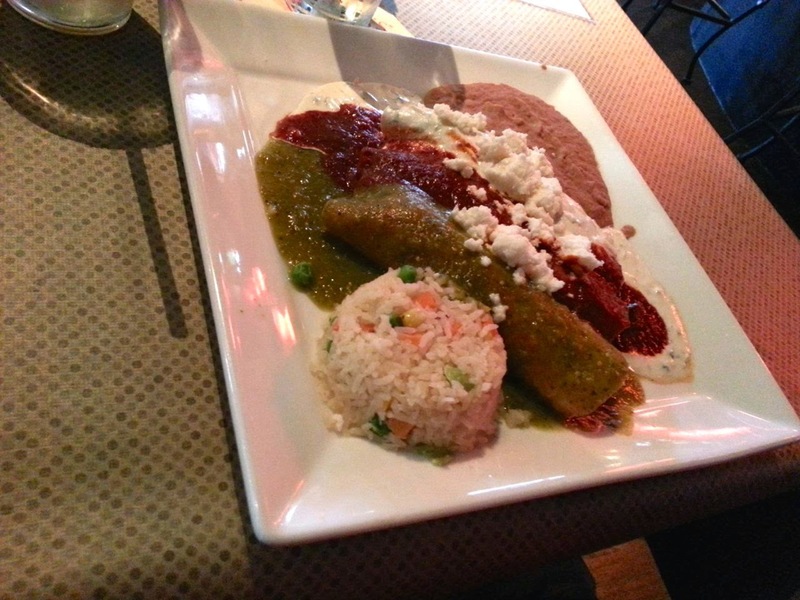 Sprinkled with cilantro and queso fresco.” He liked the enchilada that was topped with sour cream the best. 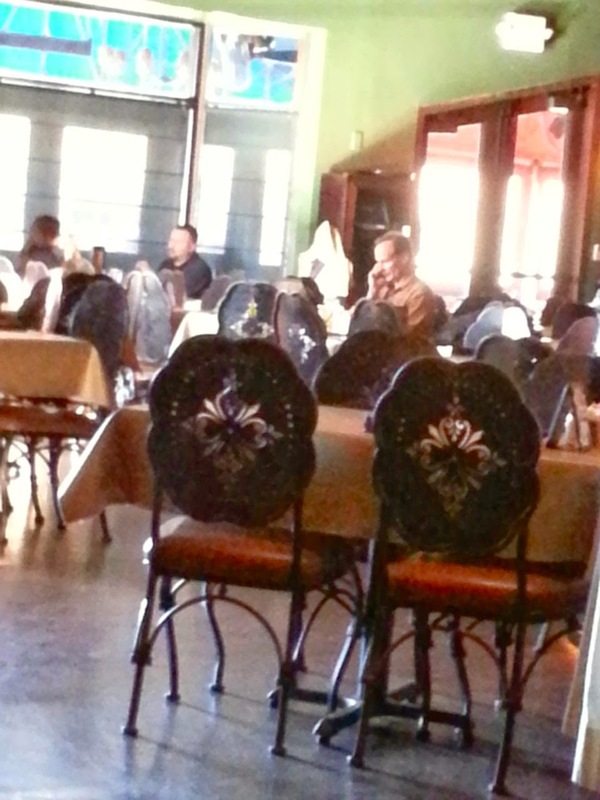 His meal was served with Spanish rice and pinto beans. He liked that the rice had corn and peas in it. He said the veggies were well cooked, but not crunchy; they were firm, and they popped. He thought the beans were pretty traditional. They were well blended but thick and smooth, not runny. His meal came with cilantro on the side, and he dumped it on top of his food. We’re both big fans of cilantro. I ordered the Salmon Chimichurri Salad, which was described on the menu as “grilled salmon, romaine lettuce, feta cheese and chimichurri dressing.” I requested the dressing on the side. Really, it was just a chimichurri sauce. It had a little too much olive oil for my taste, but it had a great flavor. 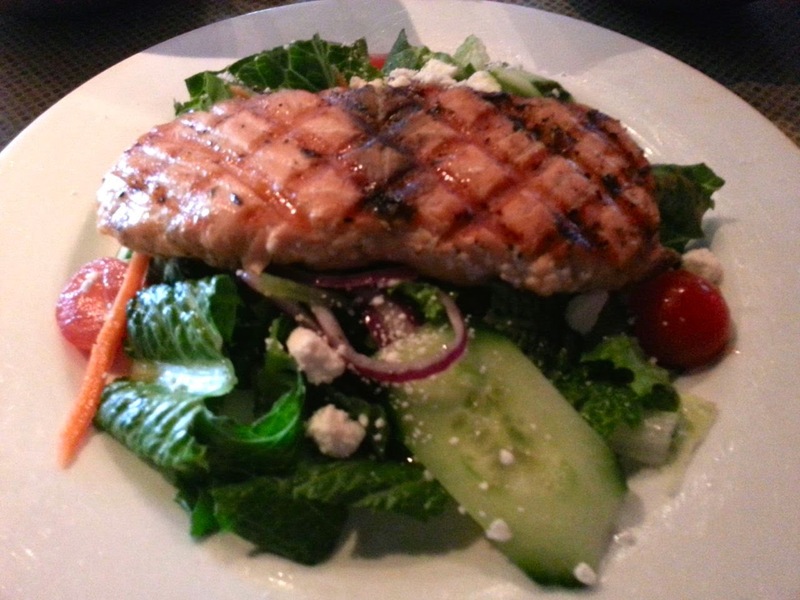 I was impressed at the size of the piece of salmon that came on the salad. I liked the romaine lettuce and the feta. Really, it was a delicious salad, and the combination of flavors complemented each other well. I don’t remember everything my friends ordered, but one of them ordered the Tacos de Brisket, which are described on the menu as “shredded brisket on your choice of corn or flour tortillas. Served with cilantro, onions, spicy tairobi sauce and black bean soup.” I don’t have a picture of this one, but my friend's 2-year old daughter certainly enjoyed eating the bites of brisket he shared with her. 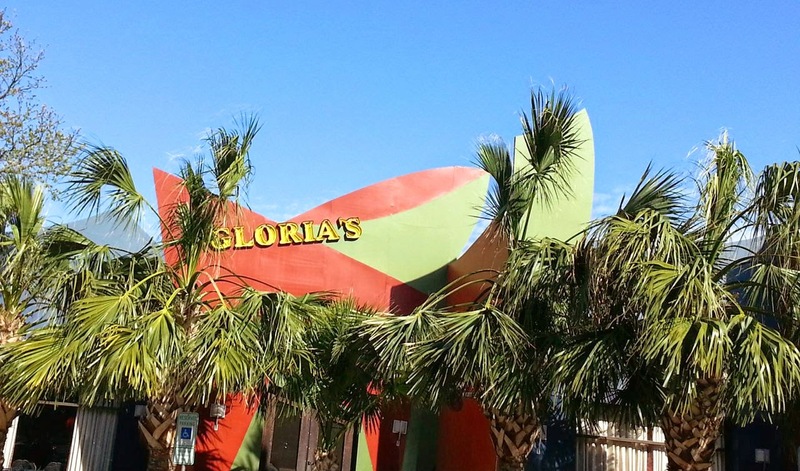 It was fun catching up with friends at Gloria’s, and I would definitely enjoy eating there again sometime.